Scientists 3D print a whale graveyard to solve ‘Sudden Death at Sea’ mystery #3DxMuseums #3DThursday #3DPrinting #3DScanning #3D « Adafruit Industries – Makers, hackers, artists, designers and engineers! An update from one of my favorite stories from the Smithsonian X 3D team. 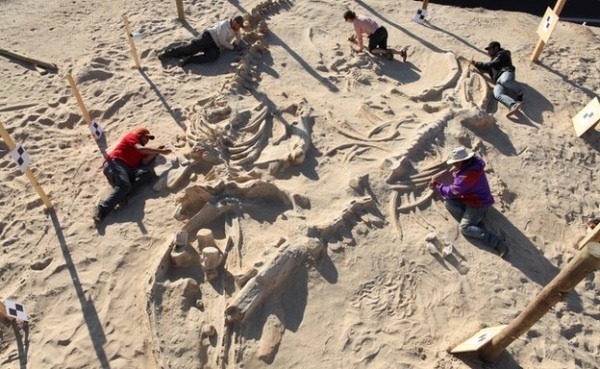 It is one of the largest fossil site discovered in recent years – a mysterious whale graveyard was found in the Atacama Desert of Northern Chile. The site was first discovered during an expansion project of the Pan-American Highway in 2010. The following year, Smithsonian and Chilean scientists examined the fossils, and wanted to figure out what happened 6–9 million years ago. …Because the site was soon to be covered by the Pan-American Highway, Smithsonian paleontologists along with its 3D Digitization Program Office spent a week 3D scanning the entire dig site, capturing essential data about the arrangement and condition of the skeletons. 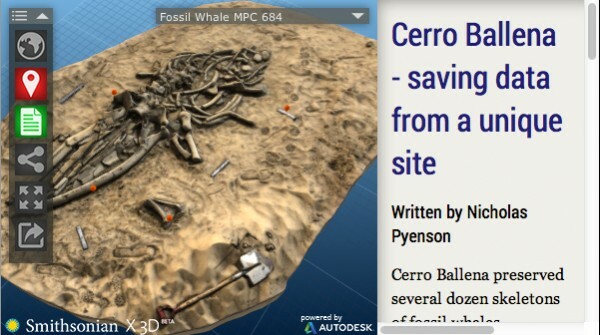 Although all the fossils found from 2010 to 2013 have been moved to museums in the Chilean cities of Caldera and Santiago, the Smithsonian has put much of its digital data, including 3D scans and maps, online allowing anyone to download or interact with 3D models of the fossil whale skeletons. The 3D model is also being 3D printed so researchers could continue their investigation of the site….